The Wall Street Journal ranked Steve Doss 21st top individual sales agent in Las Vegas and 34th in Nevada in 2012. Prudential Americana Group, Realtors awarded Steve Doss with the "Top of the Rock" and the "President's Circle" award in 2012. Doss Realty is a HUD approved Brokerage. Steve was born and raised in the San Francisco bay area and relocated to Las Vegas in 2000. He comes from a long line of self-employed entrepreneurs, including his father, who was a real estate broker for over 40 years. 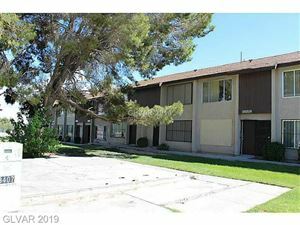 After running a successful art publishing company, Steve embarked into the exciting real estate market of Las Vegas in 2002 and has had a prolific career in general real estate including new home sales. Doss Realty Group, LLC was opened in 2013 by Steve where he is the owner and broker. Born in 1962, married to Victoria Whiteley another real estate veteran, Steve has 2 dogs, no children and has traveled extensively throughout the world covering over 19 countries including Europe and Asia. Awards: The Wall Street Journal ranked Steve Doss 21st top individual sales agent in Las Vegas and 34th in Nevada in 2012. Prudential Americana Group, Realtors awarded Steve Doss with the "Top of the Rock" and the "President's Circle" award in 2012. Doss Realty Group is a HUD approved Brokerage.